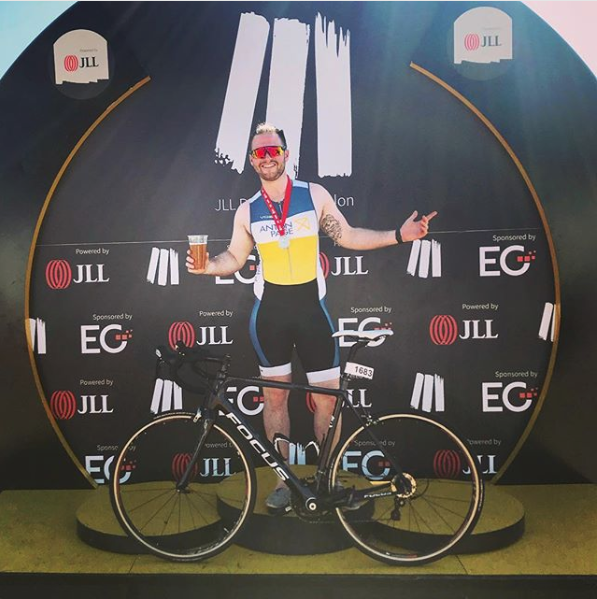 On Friday, James took part in the JLL Property Triathlon, representing Anton Page for the fourth year running. The event was hosted by JLL at Dorney Lake, home to the 2012 Olympics canoe sprint and rowing events with 12 medals achieved by team GB. The triathlon consisted of a 750m swim in the rowing lake, followed by 21.2km on the bike and finishing with a 5km run. Despite the blistering heat, James achieved a personal best and completed the sprint distance triathlon in 1:29:14. This is the twelfth year the JLL Property Triathlon has taken place, making it the largest one day event in the UK and raising over £1.8m for charity.